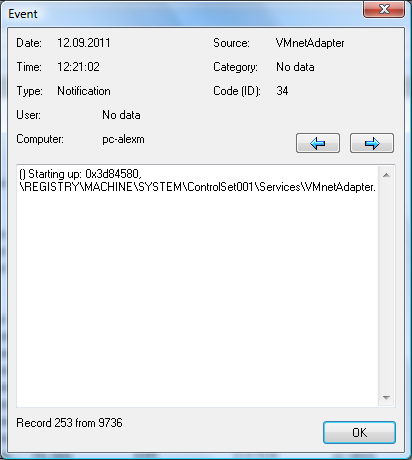 This feature allows you to access and watch the Event log on a remote computer (Fig. 1). The system, application, and security logs are available (if you have administrative rights on that PC). If the program cannot read the Event log (and you have all necesary rights for this), please read this solution in our FAQ: The program cannot get the list of running services, processes, and installed software from a remote PC. Fig. 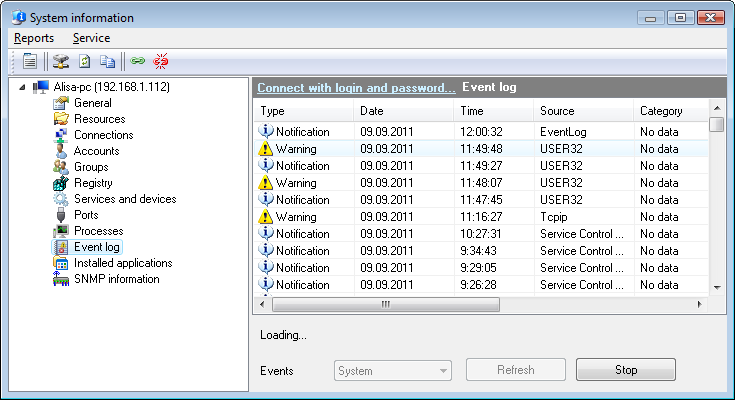 1: The Remote Event Log window. You can read the detailed information on event records (errors, notifications, warnings) by double clicking on a record in the list. After doing this, you will see the Event window (Fig. 2). Use the navigation arrow buttons for moving to previous or next log record (you can use the keys Space and BackSpace instead). Fig. 2: The Event window.